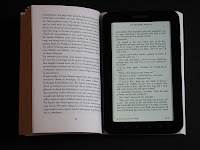 Julie Bosman had an interesting article yesterday on the New York Times on the falling sales of paperbacks, which is actually more on the rise of ebooks and the consequent fall of paperbacks. "A comprehensive survey released last month by the Association of American Publishers and the Book Industry Study Group revealed that while the publishing industry had expanded over all, publishers’ mass-market paperback sales had fallen 14 percent since 2008." Is it a bad or good trend? I actually think this is the wrong question. Even if e-books are not responsible for 100 percent of the fall of he paperback sales, I guess their rise as a convenient and cheap alternative makes paperback books a less valuable option and therefore a product less people want to purchase. Although some people in the book industry, like Michael Connelly, the best-selling mystery writer best known for “The Lincoln Lawyer,” are worried of this trend and afraid that "book buyers would not be able to discover new authors very easily if mass-market paperbacks continued to be phased out," I think they'll find out that the electronic format, coupled with more online presence of authors and publishers, actually has the potential to increase the exposure of book buyers to new authors and not reduce it. 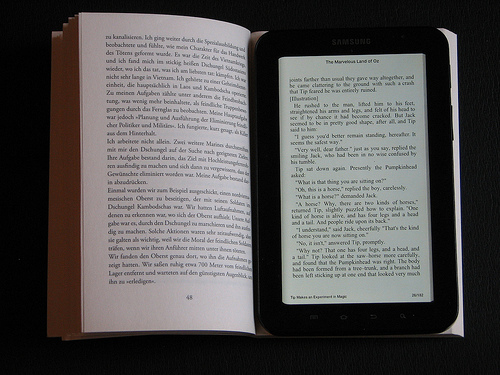 So what would you read this Labor Day - would it be a paperback or an ebook? Or maybe both? Feel free to share your choice with us.